How would you make this costume? Would you create a super realistic light weight model of your face and stomach? Perhaps, but as you can see from the animation, this one is a digital fake: two people edited to appear as one. Brilliant idea. The photo evolved during a Photoshop battle. I hope you are starting to use google image search and tineye.com to fact check photos for your own curiosity. See my previous post on how to fact check a photo for directions. That’s how I made the animated gif: I found several different versions of the costume, figured out the order, and then stitched them together using Photoshop. Why? 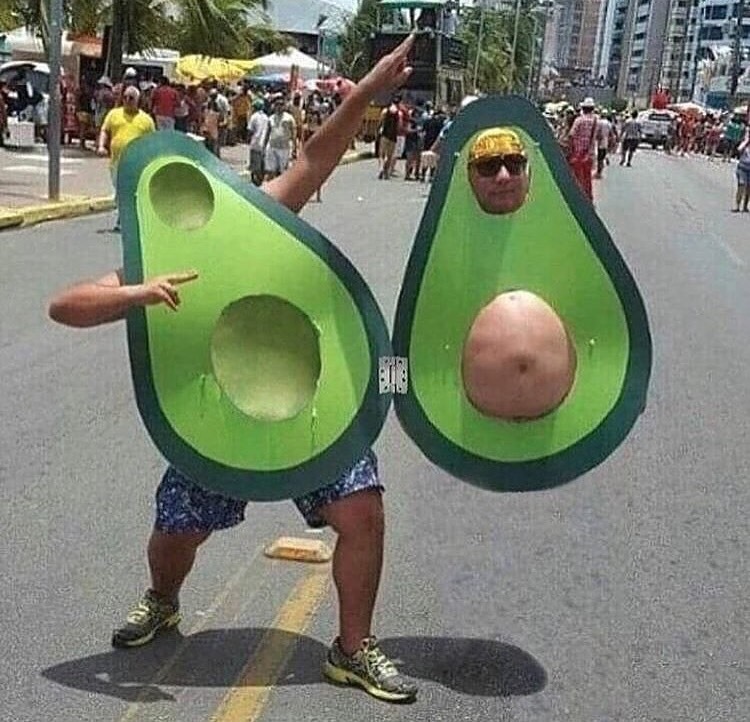 To fight the looming extinction of reality, to stand up for truth, justice and the avocado way!